A hugely controversial late penalty awarded with the use of VAR spoiled Burnley’s England debutant James Tarkowski’s big Wembley night. The Clarets centre half was making his first international appearance for England and had provided an assured performance on his debut. 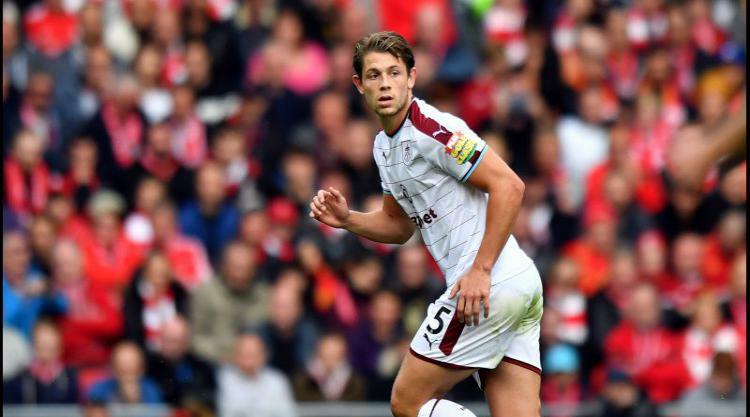 Tarkowski’s ability to pick a pass and intercept with timely tackles mirrored his season long form under the auspices of Burnley gaffer Sean Dyche. Then along came the German match referee Deniz Aytekin who decided to put a huge dampener on Tarkowski’s opening night. Quite what prompted the German referee to use the video assistant referee to call a penalty is open to debate. There was no clear and obvious problem when Italy’s Federico Chiesa overran the ball and was already falling when Tarkowski inadvertently stood on the Italian’s trailing boot. If VAR had been available in the 1966 World Cup final, perhaps Geoff Hurst’s second goal may never have stood but it appeared the German referee needed to smooth the Teutonic hurt by awarding Italy a totally undeserved equaliser from the penalty spot. Following Tarkowski’s first England cap, Burney Football Club are half a million pounds worse off this morning. Brentford had inserted a clause in the Bees’ sale of Tarkowski to Burnley that stipulated should the centre half be capped by England in a friendly, 500k would wing its way to Griffin Park. After this assured performance from the Clarets centre half, it seems highly likely another half a million pounds will be going to Brentford; a second Bees bonus awarded should Tarkowski play in a competitive game for the Three Lions. Sean Dyche is unlikely to be concerned with paying this Bees bounty; Tarkowski’s value will have rocketed following his most impressive England debut. It was a pity for the Turf Moor faithful that Burnley shot stopper Nick Pope did not make it off the England bench to earn his first England cap. Time may be running out for Pope to make the England World Cup squad for Russia, but time is still very much on his side in the long term for his England prospects. There can be little doubt he will have benefited greatly from his first experience as part of the England camp. Talking of England goalkeepers. Tom Heaton is now fully recovered from his shoulder injury and is chomping on the bit to regain his place in the Three Lions goal. First, he will need to be selected ahead of the hugely impressive Nick Pope, a player who seized his opportunity literally with both hands, when Heaton was injured earlier in the season. Sean Dyche now has a real selection headache on his hands. The Burnley skipper came through a competitive development squad match unscathed against Queens Park Rangers earlier this week and is ready to take his place back in the Clarets goal. It will be mighty interesting to see which of the two Burnley England World Cup hopefuls takes the goalkeeping gloves when the Clarets play the beleaguered Baggies at the Hawthorns on Saturday (TEC).